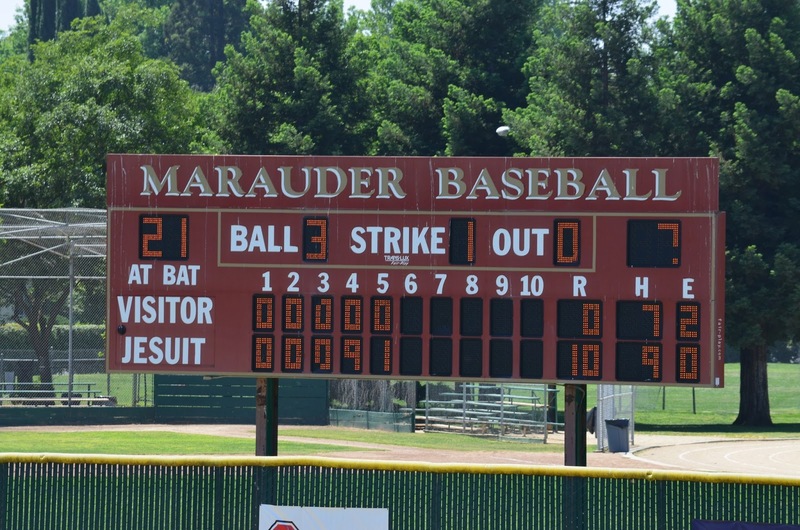 The Jesuit Marauders played the Ponderosa Bruins in their 26th game of the season. The Marauders beat the Bruins by the score of 13 to 3 in their first meeting. The boys got a chance to play on the varsity field. Back from Europe last night, Tom, Kevin and Eric showed up to the game in the second inning. Jack entered the game in the fifth inning batting lead off and playing in centerfield. At the plate, Jack was 1 for 1 with a double and an RBI. Coming to bat in the bottom of the fifth, Jack crushed a 3 and 1 pitch into right center. The ball one hopped to the fence near the 367 foot sign. Jordan scored the 10th run and the game was over. Jack had a walk off hit!?! In the field, Jack played one inning in centerfield. He did not have a put-out or an assist. The Marauders were held hitless for the first three innings and then exploded for 9 runs in the fourth inning. With Jack driving in the last run in the fifth inning, the final score was Jesuit 10, Ponderosa 0. The box score is here and the scorecard is here. Cole (2 - 1, ERA 0.54, 2 starts, 4 relief appearances, 13.0 innings) was the winning pitcher. Kevin pitched the fifth inning. This was the last home game of the season. A couple of the parents organized a very nice pizza party for the team and the families. 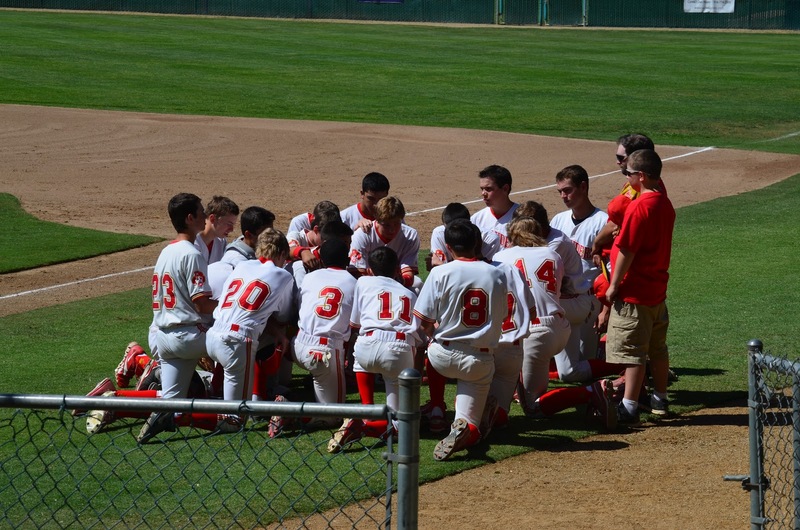 The Jesuit Frosh baseball team now has 21 wins and 5 losses. In league, they have 14 wins and 1 loss. The game log is here. The Marauders last game of the year is Monday, May 6 at Oakmont.